On behalf of the Kongma Sakyong, Jampal Trinley Dradul, and Ms. Jane Arthur, Minister of the Pillar of Government, the Office of the Sakyong takes great pleasure in announcing the designation of the area south of San Luis Obispo, California as the Southern California Region. 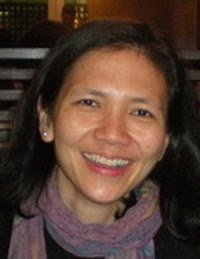 We are equally delighted to announce the appointment of Ms. Sharon Owyang as the Director of this new region. Ms. Owyang will work closely with the current group of centers, satellites and groups — Eagle Rock, San Diego, Carpinteria, Ojai, Mar Vista and Orange County — to further evolve the potential of the region. She is the right person at the right time to guide the Southern California Region and take it to the next level. Sharon Owyang joined Shambhala in 2006 and is a student of Sakyong Mipham Rinpoche. She has been the Director of Education and held a variety of posts at the Los Angeles Shambhala Center. Sharon was born in Singapore and graduated from Harvard University with a degree in Social Studies. She has worked as a film and documentary producer, author, and travel writer. In past years, she has also run a non-profit organization dedicated to the civic and political advancement of Asian Americans, and worked in California and national politics. Sharon is currently a writer and researcher in the area of U.S.- China relations, and lives in Los Angeles with her husband. She speaks Mandarin, Cantonese, Shanghainese, French and German. Please join us in welcoming Ms. Owyang to this new position.